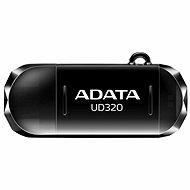 This elegant, compact flash drive comes complete with two connectors, one of which is for data transfer from and to OTG-compatible tablets and smartphones. The drive's Micro USB connector can be plugged directly into your mobile device, creating extra storage capacity for photos, music and videos. 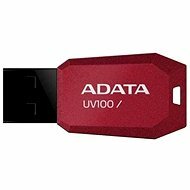 The drive also comes with a standard USB connector for any PC or laptop, making standard data transfer as well as data transfer between devices simple. The zinc alloy case comes with COB (Chip-on-Board) technology, engineered to resist shocks, vibrations and water. 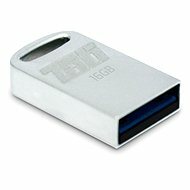 Thanks to USB OTG (On-the-Go) technology, your flash disk can be connected directly to mobile devices that support this feature. This allows you to access files without connecting to a PC. Of course, you can use the flash disc as a standard data storage medium. Phones and tablets equipped with a MicroUSB OTG port can connect to a variety of devices, including keyboards, mice, and storage devices. For shipping to other EU countries visit this page Silicon Power Mobile X10 Champagne Gold 8GB. Für Versand nach Deutschland, besuchen Sie bitte Silicon Power Mobile X10 Champagne Gold 8 GB. Chcete doručit zboží do Česka? Prohlédněte si Silicon Power Mobile X10 Champagne Gold 8GB. Chcete doručiť tovar na Slovensko? Prezrite si Silicon Power Mobile X10 Champagne Gold 8GB. Für Versand nach Österreich, besuchen Sie bitte Silicon Power Mobile X10 Champagne Gold 8 GB. Magyarországra történő kiszállításért tekintse meg ezt a termékoldalt: Silicon Power Mobile X10 Champagne Gold 8GB.